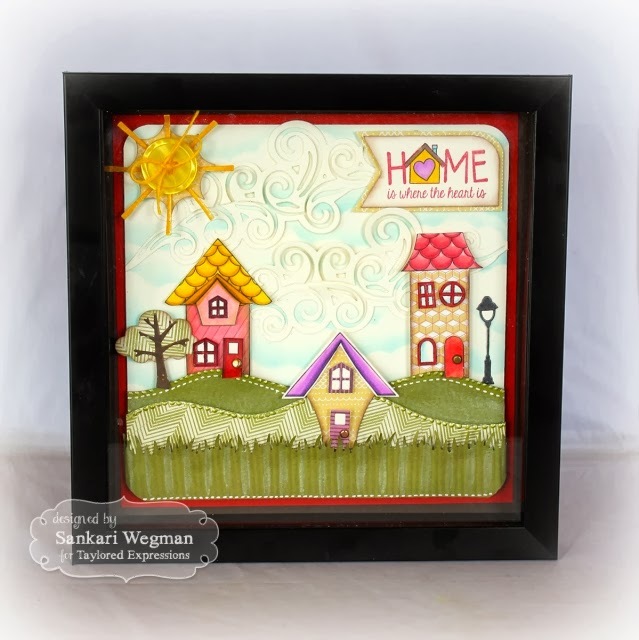 Sankari's Sunshine Corner: Taylored Expressions March Sneak Peeks: Welcome Home! Taylored Expressions March Sneak Peeks: Welcome Home! Welcome to the March Release from Taylored Expressions!!! Woo-hooooo!!! 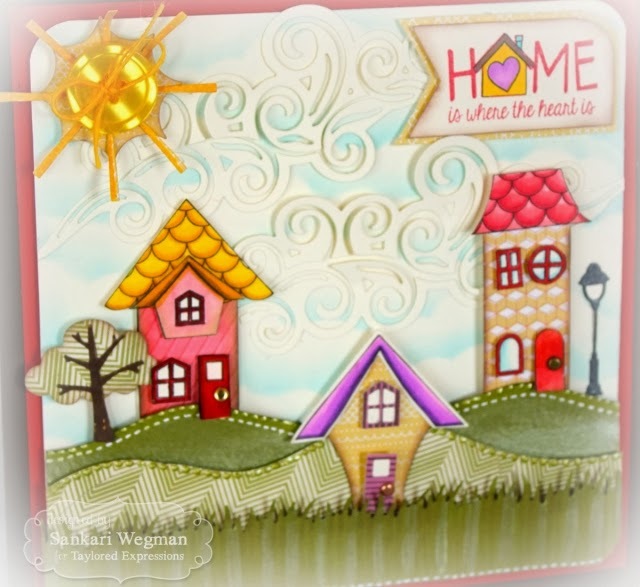 Today I am so so so so excited to show projects that I made using the new Welcome Home stamp set using the coordinating new Build a House Dies! 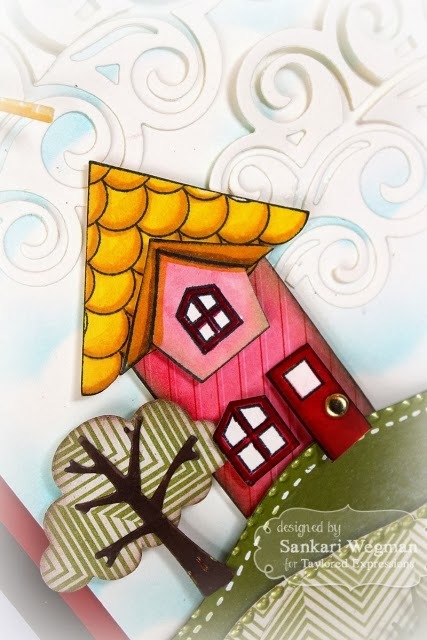 I have been wanting dies and a stamp set that go together where you can mix and match and create your own house (and this works perfectly with the Build A Scene dies)!!! Woohoo! 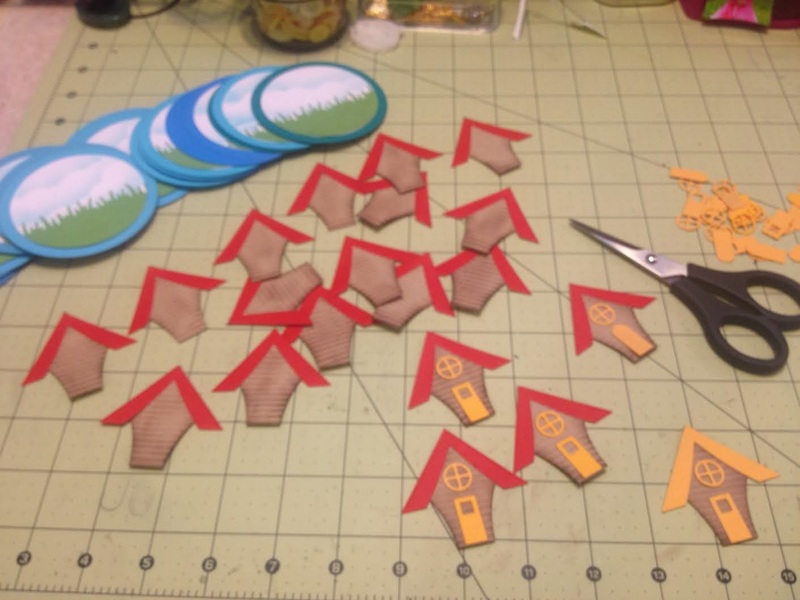 I sent a concept to Taylor, who totally agreed and sent the concept to be illustrated and voila - we have the Build A House dies and Welcome Home stamp set that will be released on Thursday!!!! YAY! 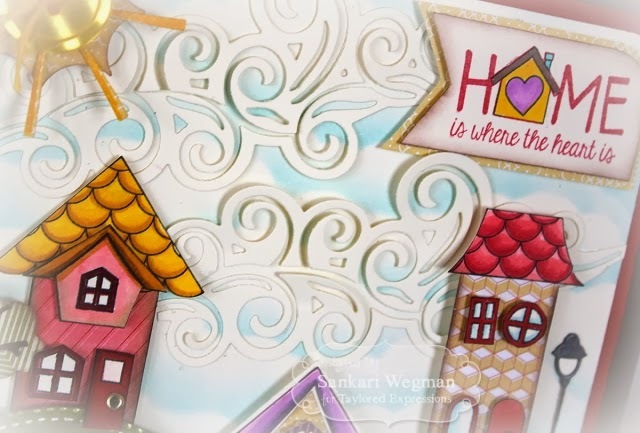 And a final view of the whole scene - I just love all the elements in this stamp set and coordinating die - seriously - there are soooooo sooooo many fun elements that comes with the Welcome Home stamp set and Build a House dies that the possibilities with what you can create and combine together are simply amazing!! 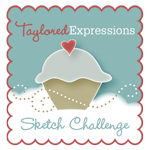 Taylored Expressions is celebrating Release Week with some fabulous giveaways! Visit the TE Blog (insert link: http://tayloredexpressions.blogspot.com/) each Sneak Peek Day this week for details on how you can enter to win. Thanks so much for stopping by! Please hop over tomorrow for more TE sneak peeks! wow. I love both of these cards! 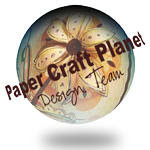 Love the design of your first one, and your button sun is fabulous. Those little house are just adorable. And your second one is awesome also. Love the house and sun in this one too. Your cards are wonderful. I love all the colors too! Have to have those stamps and dies. wow, those announcements are amazing. So much work but everyone will remember where you live. lol they are great. Oh wow! That shadowbox is a-maz-ing! Love it - so much texture to it! THUD! OH MY STARS!!! You are a ROCK STAR! These are so adorable and I can't believe how fast you pumped those out. Great job! And I just love the set and dies! So happy to be on a team with you again sweets! Amazing projects! I love both so much. I love all the little details that make each of your projects so special. I am huge fan of paper piecing. I think it adds so much character to a project. 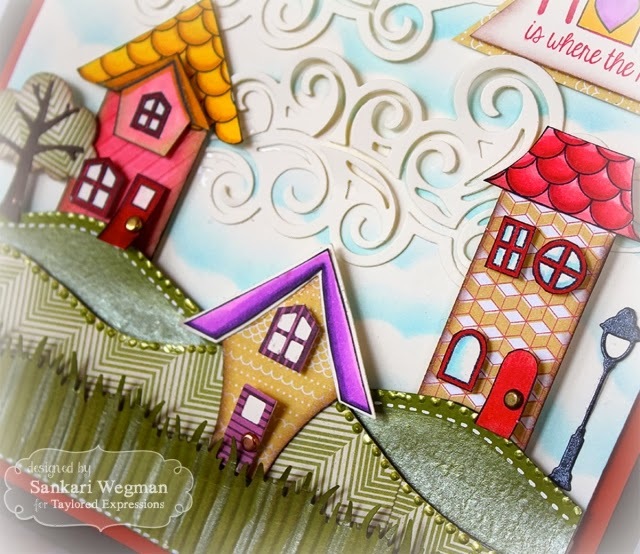 There is just so many things that can be done with this great stamp and die set. Thank you for the inspiration. Oh my goodness your cards are all delicious. 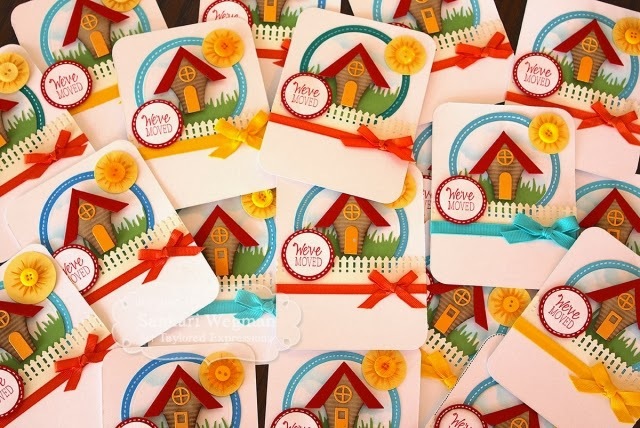 Your address cards are truly the cutest. 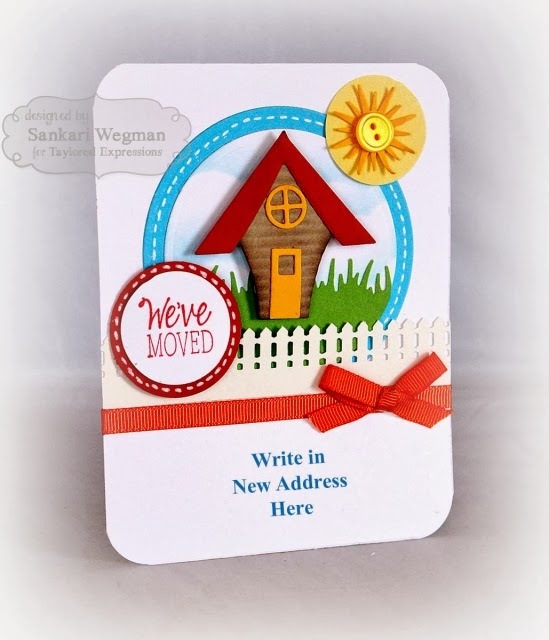 I'm moving and will soon have to make cards. Sorry you got stuck moving during the cold. I'm moving the end of April so spring should be here (I hope). Oh my goodness, you have been a busy, busy lady. Love the cards. Thanks for taking time to share with us. You ARE the Scene Queen for sure! 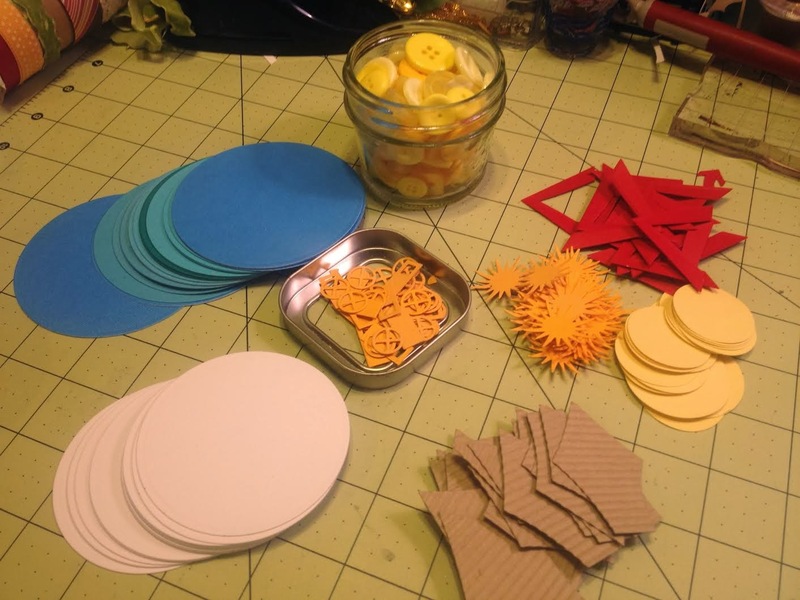 Love this concept and love the cards you created here! That little neighborhood in the rolling hills is FANTASTIC! wow! and WOW!!!! loooove what you did with those houses. the details are amazing!!! So CUTE!!! Love those little houses. So great you were able to turn an inspiration into a product everyone can play with! 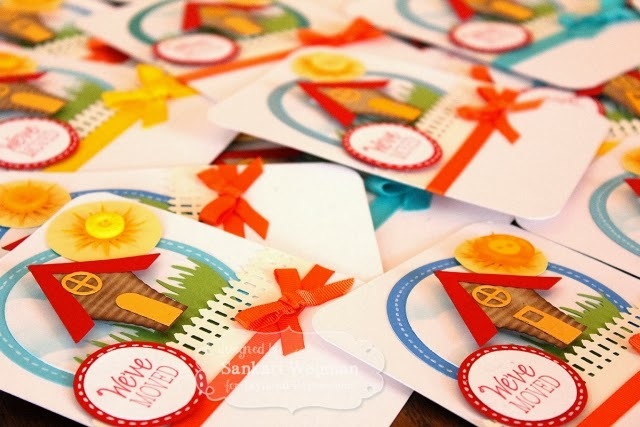 Love the little wall hanging and those cute little cards are inspired! 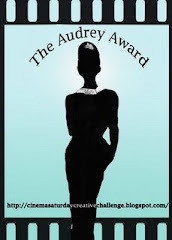 Those are the most adorable moving announcements ever, so much fun and lots of work on your part!